Apply 20 minutes prior to sun exposure. Re-apply as needed or after swimming, sweating or toweling. I like this product as there is no heavy feeling upon application. I have not had any reaction and like that it provides broad-spectrum protection! I gave it four stars as I wish that it was not oil-free. With more hydration, I would not need to use a moisturizer first. This is one of my favorite sunscreens! The texture is light and it blends easily into my skin. Best of all, it does not irritate my sensitive skin! It is a keeper! It's lightweight, goes on smoothly without much of a white cast and is slightly mattifying. These are all good things as far as I'm concerned, but it irritates my skin (neck, around the outer edge of the eye), likely due to the inclusion of citrus grandis (grapefruit peel). 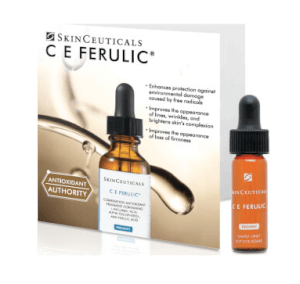 I would be less disappointed if Skinceuticals didn't tout it for use on sensitive or traumatized skin. For some reason, SkinCeuticals products do not work for me, including this sunscreen. They do not absorb; just "sit" on the top of my skin. It works. What it is supposed to be! And ingredient is simple and effective. It feels smooth and doesn't make my skin too white like what other product that contains titanium dioxide does! I bought this sunscreen just before I have a procedure done and it works very well. Very Happy with product. A perfect one for seasides. I love that this sunscreen doesn't cause break-outs like other sunscreens do. The product is very light and goes onto skin nicely. I have combination skin and am worried about sun screen clogging my pores. 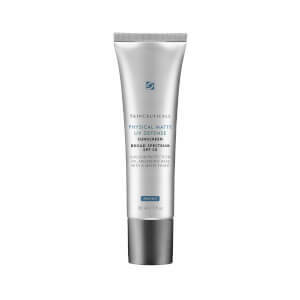 This product is very light and does not clog the pores. It goes onto skin evenly.